As a project manager leading transformative projects, I see first-hand what it takes to change ones beliefs and approaches. I see some leaders embrace it completely and I also see those that just don’t get it. I truly believe in Darwin’s theory about those who survive are neither the strongest nor the most intelligent – it is actually those who can adapt to change. I have been thinking about this for a while with respect to my health. Survival of the fittest literally means adapting to the changes in your environment. How resilient are you? In today’s society, the pressures from work, the food choices available to us in grocery stores, at restaurants – all of those have changed our health in ways our ancestors would have never imagined. It is time though, that we adapt to those changes thrown at us and create our own paths of resiliency. It is time to change our eating habits so that we can fuel our bodies to best enjoy moments of resiliency, of happiness. Here’s to fuelling your moments through your food! 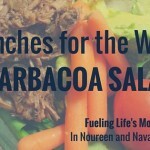 This week, lunches are super yummy and were super simple to put together. At the grocery store I saw a beautiful purple cabbage head and said – all right, what can I do with this? Here’s what I did! 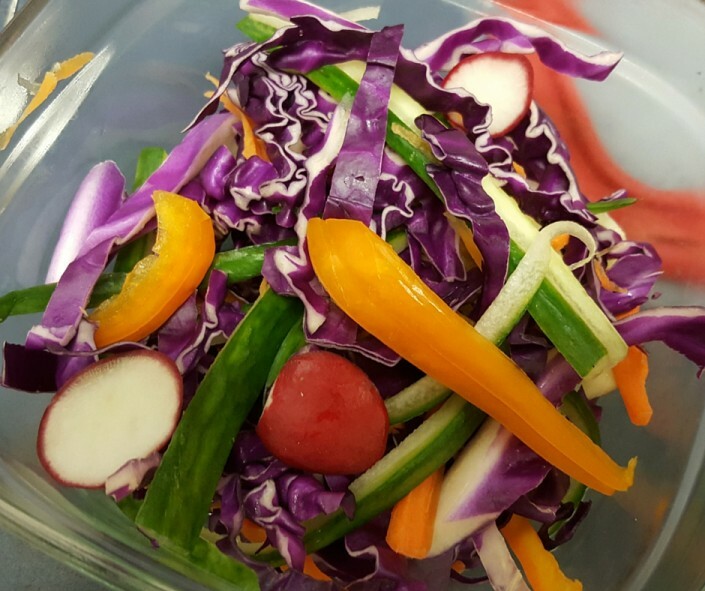 1 head purple cabbage, you can use half purple, half green, all green, whatever you enjoy! Chop everything up, drop into a salad bowl and mix together. Brown the ground beef till is about 60-70% done. Drain fat. Leave aside. 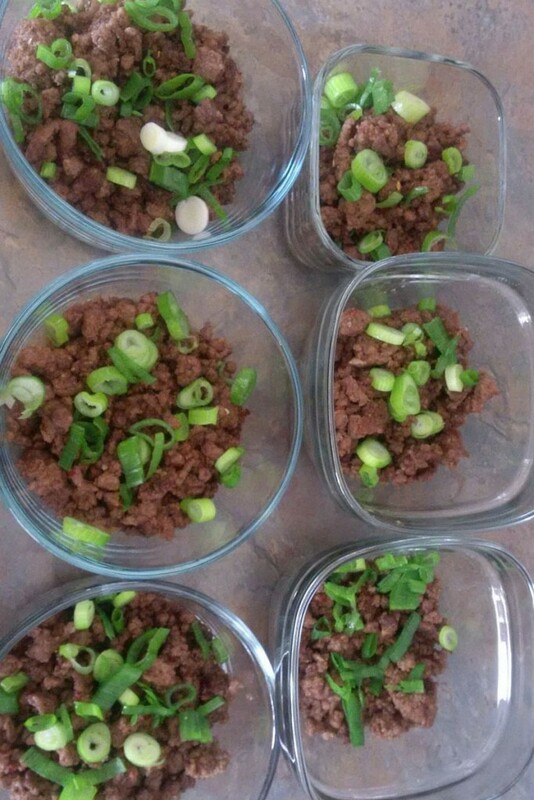 Add in remainder of ingredients (except green onions) in with the ground beef and stir well together. Let it simmer for 10-15 minutes, and then top with the green onions. 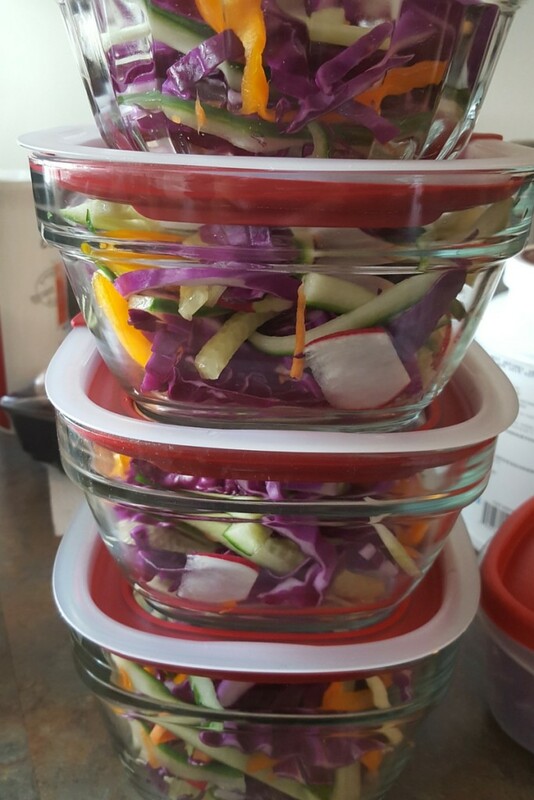 We immediately portioned off the salads and meat into different containers for lunches. 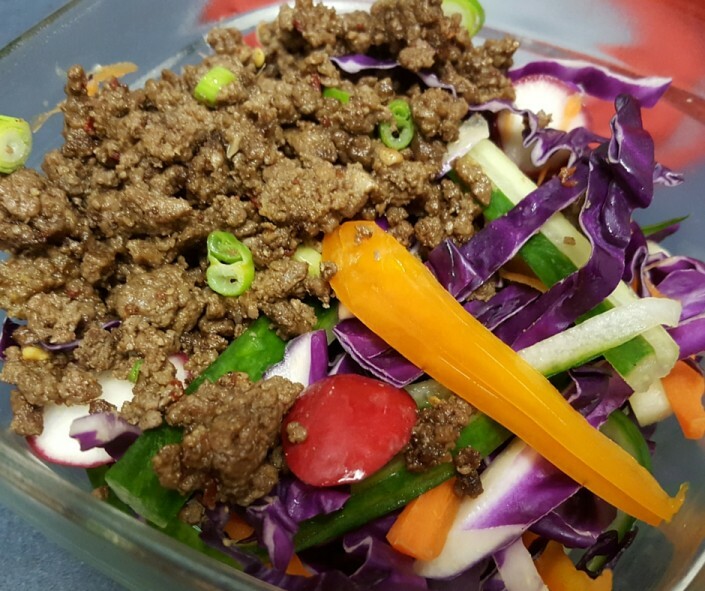 At lunch, you just warm up the beef and toss it onto the salad with the dressing.